Picture yourself strolling through the doors of an art gallery or into the marble halls of an art museum. The walls are lined with bold, colorful images, some vivid abstracts, many assertively figurative. As you take in the striking landscapes and strong faces, a story emerges -- no less a story than the history of humankind, but also a story that resonates with today's headlines, a story still unfolding. Now what would that sound like? 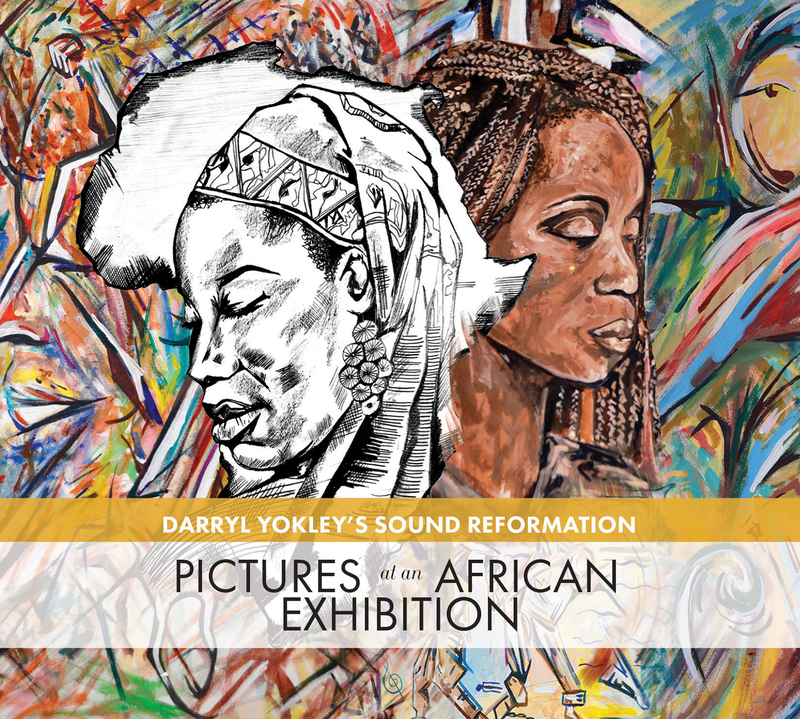 Saxophonist/composer Darry Yokley has created the soundtrack to just such a gallery of images on his new album, Pictures at an African Exhibition. 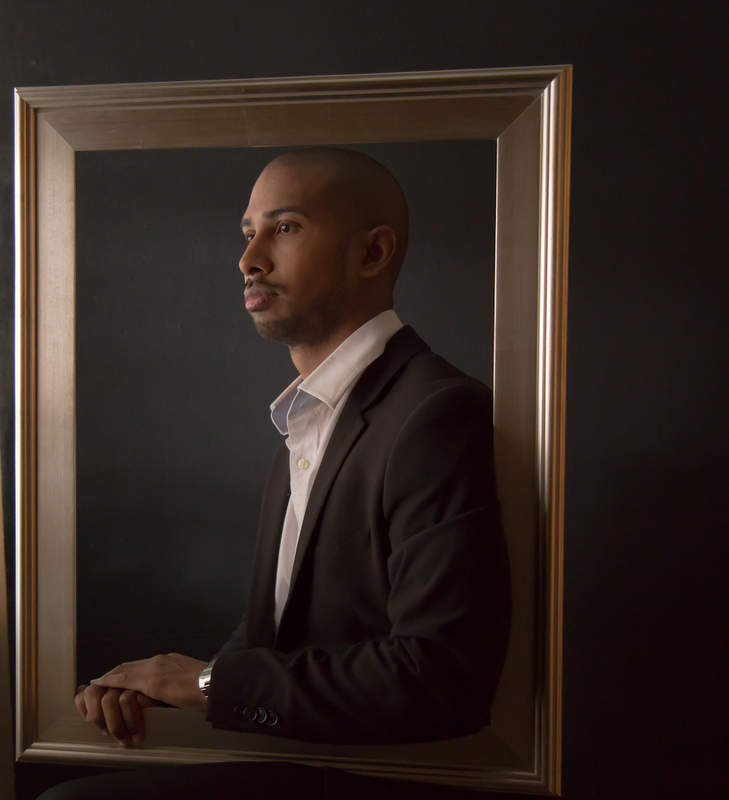 The album, due out April 20 via Truth Revolution Records, was created in collaboration with British-born artist David Emmanuel Noel, who painted pieces to accompany each of Yokley's 13 new compositions. 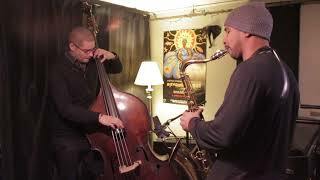 The music supplements Yokley's band Sound Reformation -- pianist Zaccai Curtis, bassist Luques Curtis, and drummer Wayne Smith Jr. -- alongside special guest drummer Nasheet Waits and a 12-piece wind ensemble, assembling a group with a sound palette vast enough to match Noel's visual one. The album's title points to its clear inspiration, Modest Mussorgsky's famed "Pictures at an Exhibition." But where Mussorgsky penned music inspired by the artwork of his friend Viktor Hartmann, Yokley decided to write his suite first and ask his friend Noel to create the exhibition to match. The ambitious suite begins with the dawn of the human species and traces an alternately triumphant and tragic tale of migration and enslavement, celebration and warfare, ending on a cautiously optimistic hope for the future. "I wanted to explore themes that were universal," Yokley explains. "I based the story on Africa, because as far as we know that's where the human species was born, but I wanted to explore themes that everyone in every culture worldwide could relate to." The album thus opens with the joyous melody of "First Sunrise," which shows the influence of African song and American gospel. Noel's accompanying painting collages bright colors to depict a pregnant woman and her partner looking to the sun on the horizon and its accompanying promise. Still celebratory but built on a more tumultuous rhythm, "Migration" is an anthem for the ancestors who braved the unknown to venture out to new lands, with Noel's illustration of a stark but troubling black and white image of a black man, his head bowed, bounded by an Egyptian pyramid and a Manhattan skyscraper. "Ubuntu," paralleled by Noel's swirling abstract painting, takes its name from an African philosophy that means "I am who I am because of who we are," an emphasis on group identity that Yokley grasps in his stunning arrangements for this ensemble. He's led Sound Reformation since 2010, but the addition of a wind ensemble, inspired by his classical studies at Duquesne and Michigan State Universities, provides the opportunity for sweeping drama and surging power, reflective of his arrangements for Orrin Evans' Captain Black Big Band. 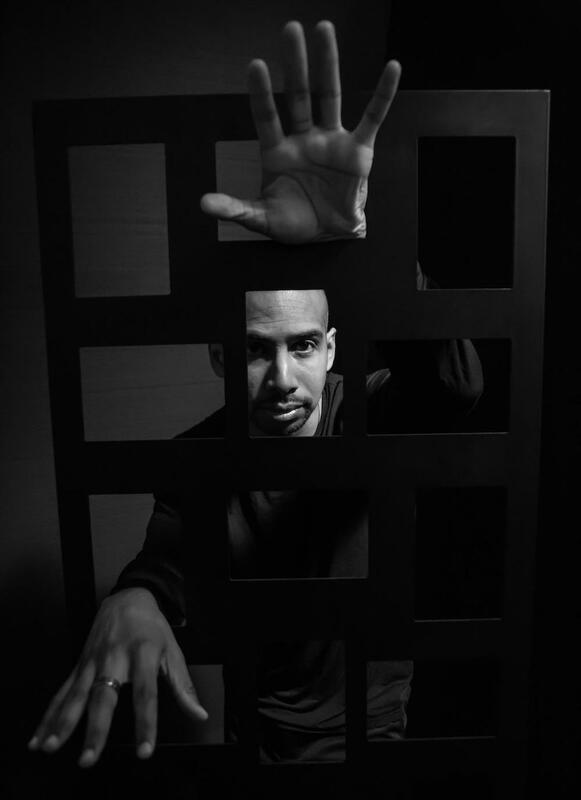 Waits, the inventive drummer known for his work with Jason Moran and Fred Hersch among many others, adds rhythmic complexity in tandem with Smith's muscular swing. "I've always wanted to work with Nasheet Waits, but Wayne is such a great drummer for the group," Yokley says. "Then it dawned on me that I could use two drummers because the drum is the predominant instrument in Africa. It ended up working out wonderfully because the rhythms they produced together provide a plethora of inspiration for the musicians to improvise to as well as being a representation of African culture." The influence of African percussion is at its most emphatic on the gentle "Stories from the Village Elder," which honors the tradition of oral history before things begin to take a darker turn with "Ominous Nightfall." Reprising the theme from "First Sunrise" with foreboding harmonies, the piece begins a series of reflections on tribulations that continues with the ambiguously titled "Hunting Natives," whose tense rhythms suggest both the search for food and the danger of life in the jungle -- both literal and figurative. 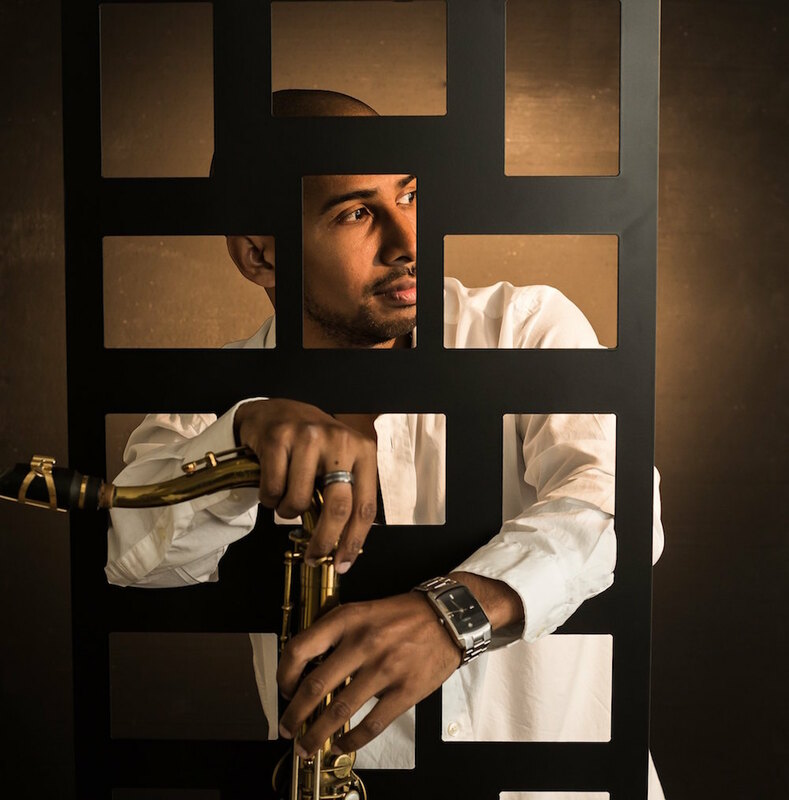 Smith marks time with a set of chains on "The Birth of Swing," which traces the roots of jazz back to the clanking of slaves' irons on ships' decks. 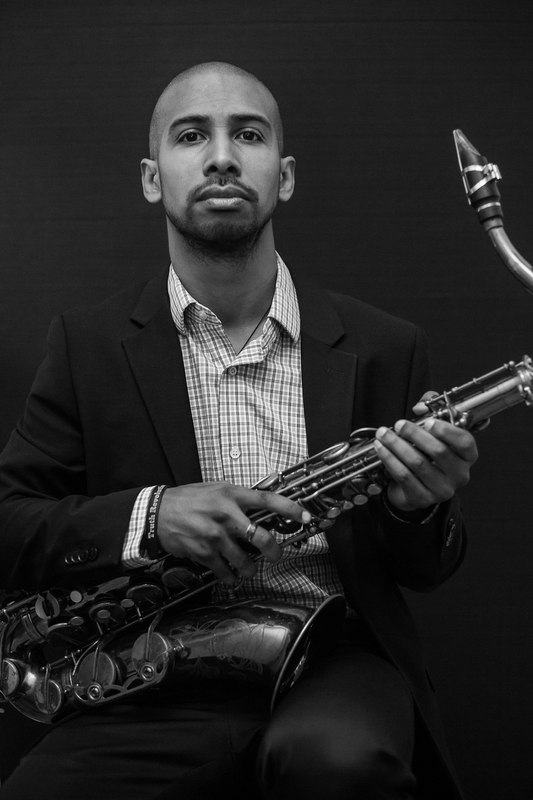 "Echoes of Ancient Sahara" is a ghost story of lost civilizations that reveals John Coltrane's imprint on Yokley's sound, while "Genocide March" is a martial ode to atrocities in Rwanda and Sierra Leone in particular, though acknowledging the fact of many more such tragedies across the globe. The blood diamond trade is referenced in the mournful "Mines of Diamonds, Crimson and Gold." Things begin to take a turn with "Cry, the Beloved Country," which borrows the title of Alan Paton's 1948 title for a stirring ballad of revolution and resistance. "Blessings From the Bennu" refers to an Egyptian deity, a bird used as a symbol of rebirth that was the likely inspiration for the Greek myth of the phoenix. The "First Sunrise" theme emerges again to segue into "New Sunrise," which finds the composer finding hope despite the echoes of these past troubles in our current divisive times. "The last two tracks are a vision for the future," Yokley concludes. "They express my hope that we can get past all the turmoil and inner conflict that we bring upon each other and unite. That's the arc of the story."